How nice it would be to travel to a thrilling place called Sikkim in India, which divides its borders with other three countries? It would be fantastic, isn’t? Really, Sikkim is the beautiful mountain state and it seems more stunning with fresh mountain air, clean towns, exciting trekking routes, tourist spots and delicious cuisine. Located in the Himalayan Mountains, this inland Indian state is beautifully bordered by China’s Tibet Autonomous Area to the north and east, Nepal to the west and Bhutan to the east. This small hill state simply pride itself on hilly landscapes flecked with quaint villages, lush forests, high snow-capped mountains, and rich tribal culture embossed with vibrant Tibetan Buddhist accents. The lush green environment of Sikkim makes a perfect trip for the one who wants a short break from their busy schedules. It’s not simply the sight of the flowered spectacle solely, but also some adventurous activities that are waiting for you to experience it. Along with dauntless sites and floral paradise, the place has everything that tourists want to have in their adventure tour. Sikkim is one of best places in India for adventure travel. Some of the major attractions like Mt. Kanchenjunga, Mighty Kanchenjunga glacier and Great Valleys captivate the attention of adventure lovers. So, let’s discuss about the most demanding adventure sports that tourists extremely love to experience. Sandakphu Trek-It is one of the most mysterious and interesting Himalayan treks with thick forests and thriving rhododendrons. Sleepy hamlets and lush green hayfields add magic to the whole atmosphere. Beginning at Maneybhanjan close to Darjeeling, the Sikkimese part of the trek begins after the after the Immigration Check Post. After reaching on the peak, tremendous views of the five highest peaks like Kanchenjunga, Makalu, Everest, Lhotse, etc., are observed. Goecha La Trek– Goecha La trekking in Sikkim is one of the most romantic trails among Indian Himalayas. 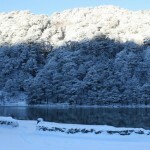 The bewitching walk through the enormous Dzongri and Thansing meadows, Tshoka Rhododenderon forests, the looming presence of Kanchejunga and Pandim, the galvanizing blue waters of Samiti Lake, the icy chase to Goechala gives wonderful experience. Kanchenjunga Trek- Kanchenjunga is the highest mountain, situated in the north eastern corner of Nepal surrounding Sikkim. It’s one of the most striking mountain formations in the world. It’s very popular trek in Sikkim and the trip is incomplete without attempting this trek. After reaching the summit, one will feel pleasure seeing the divine beauty of dawn and dusk above Mount Kanchenjunga. 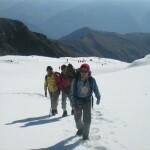 Dzongri Trek-Dzongri is one of the best trekking destinations that will keep a tourist staring with awe. The trek to this mountain is very tough in Sikkim. Even the experienced ones get tired after reaching here. But, it is mostly recommended for trekkers to go for regular fitness exercises before coming here for trek. Dzongri trek begins from Yuksom in West Sikkim that takes 6 hours to reach by road from the nearest airport at Bagdogra and rail station at New Jalpaiguri. 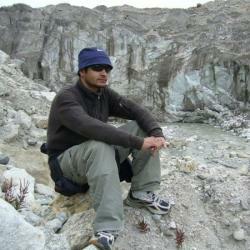 Singalia Trek-The Singalia trek in Sikkim begins from Kanchenjunga and completes at Darjeeling. The altitude varies between 12,000 ft and 14,000 ft. 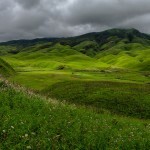 This trek allows a beautiful view of nature in between lush green rolling hayfields and rhododendrons forests. Permission is required as the trek crosses from the India-Nepal border. Green Lake Trek- It’s one of the popular trekking trails in Sikkim Himalaya that aggregates natural beauty with striking views of high peaks. This is the most enchanting trek in the base of Mt. Khangchendzonga in North Sikkim, which is covered with variety of flowers like primulas, rhododendrons, and blue poppies. Beautiful views of birds and waterfalls on both sides of the trail give awesome experience during trip. The mountains views are tremendous with arena of peaks together with mount Kanchendzonga at the head of the valley. 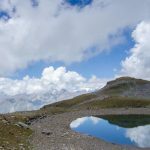 Though, there are no trekker’s huts in this route, so people attempting the trek should be self comfortable with essential trekking equipments, guide, food, and so on. The best time for trekking is suggested from April-May and October-November. Most importantly, trekkers can also visit cascading waterfalls, monasteries, etc., and cherish the real beauty of nature all around. Those trekkers who are spiritual by heart can choose for the Monastery Leisure Trek and make their adventurous trip memorable by keeping all memories in the one corner of your heart. 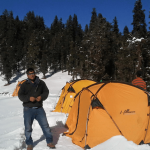 Well, these trekking routes can turn more fascinating with undergoing the camping adventure. Rock Climbing has always been famous adventure sports in Sikkim. It’s one of the interesting outdoor activities that are extremely admired by tourists. This is another challenging sport for the one who love adventure. It includes climbing a natural rock, with the sole goal of reaching its peak point by using a determined route. It’s a kind of mentally and physically demanding sport. One can check their intensity, balance, legerity and endurance along with his/her mental ascendency. While climbing, it’s very necessary for the one to have rock climbing shoes, helmets, ropes, pitons, ascenders, nuts, etc. This sport is bit similar to skydiving that has a factor of danger indeed. But, travelers come here from all across the world to enjoy these adventurous activities. The best time for rock climbing adventure is from March to May and Mid September to Mid November. Here comes, the another adventure sport ‘Mountain Biking’ in Sikkim that has wonderful story of spell bounding adventure to one who has experienced this sport. The unparallel trails are awesome with unlike turns, twists and tough runs in the North and South Sikkim. Bikers can freely take their own routes that are quite daring according to their imagination, as this is what that adds more fun into this sport. The East Sikkim and Gangtok, or the Gangtok to Aritar, by passing Assam Lingzey, and Rongli is simply staggering. Apart from this, the natural beauty of fauna, countryside, lifestyle of Sikkimise, is well experienced while biking. This is one of the exciting sports, enticed by the exiting adventures of outdoor fun. Many tourists enjoy riding their biking during monsoon in miry dirt road. Doesn’t matter, whether it’s a first trip or second one, one will always find different feeling & fun in trip. Whether it’s a long ride, trail or charming country side, mountain biking is a way to explore this beautiful state. The perfect time for biking is from March to May and Mid September to Mid November. Sikkim welcomes lovers for an adventure journey to the water world. River Teesta and its affluent Rangeet give a chain of rapids with anecdotal strength and character. Both of them include deep forests with some dapples of terraced farming and small villages. Countless white sandy beaches simply give good camping areas. Tourists go for rafting in the Teesta River, which outburst by the Makha down to Sirwani complying Rangpo. It’s one of the best rivers for Adventure River rafting in Sikkim. While the other one Rangit River take rafters from Sikip to Nayabazar and lastly to Malli. The perfect time to enjoy river rafting in Sikkim is from October to April. Since, the water is too cold, so it is suggested to wear and carry safety clothing for rafting. There are several sand spots where one can set up camp sites and relish there for nightlong. Special River Rafting tours are also organized during the tourist season. Just visit and discover the daredevil in you. Paragliding is another adventure sport found in Sikkim that offers great excitement and thrill to the trip. This adventurous tour takes you to the best scenery in the state as one can float over villages, temples, jungles, with an outstanding view of the magnificent Himalaya. One can freely drift like a bird in the air, kiss sky as it’s a wonderful adventure that should be experienced by all. Well, Sikkim has turned out as one of the famous destination for paragliding and huge numbers of travel explorers from all across the globe visit this place for exalting experience in the foothills of Himalayas. There are experts who guide tourist and take care of their safety while paragliding. Sikkim is blessed with world‘s popular Himalayas and thus it gives a profusion of scope for adventure sports such as mountaineering. This activity in Sikkim is so far earning immense popularity every year. Jopuno, Tinchenkhang, Frey’s Peak, Byrmkhangse and Lamo Angden , are one of the famous peaks of Sikkim where mountaineering is always permitted. Sikkim’s mountains blow the natural landscape that is conceded to this place by Lord. In fact, the Himalayas are the embodiment of the world’s mountains. Being popular all over the world, these mountains are eminent for their everlasting magnificence and eternal beauty. The colossal mountains and cavernous valleys seize all feels with a simple notion. The place offers great fun and excitement to mountaineers. The best time is suggested from March to May and from September to November. 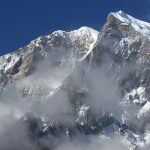 Covering the third highest mountain of the world, Kanchenjunga or Khangchendzonga add daring mountaineering journey for tourists. Many trekkers or mountaineers visit every year to explore the real beauty and wildlife of Sikkim. Yak Safari is one of the exciting experiences, as one can get a chance to ride the Yak in Tsomgo Lake and several other trekking points such as Dzongri in West Sikkim. While sitting on the back of Yak, passing through hilly trails in between the beatific beauty of Sikkim gains the admiration of every human being. It is organized in different parts of Sikkim and the tourists from all across the world come here to delight this serene ride on a Yak. The striking view of the meadows, valleys, the mystical views of the valleys and the snowy mountains makes the expedition wonderful. Another exciting adventure is gliding in Sikkim, the city that is wrapped in the geographical diversity’s beauty. It’s an interesting sport that rewards with awesome views of the dense forests, lofty mountains, and serene rivers. The adventure of flying without any interference gives ultimate feeling after experiencing this activity. The place gives lot to explore while hang gliding and get an opportunity to come closer with nature, wind, forests, birds, etc. No doubt, Sikkim with its lovely prospect makes it an idealistic place for hang gliding. Well, Sikkim has lot to explore and many tourists discover the entire place by taking Helicopter ride services. This helps them in sight-seeing and save huge time during trip. It gives a unique thrill to discreet vacationers. The mountain flights by helicopter make you go close to the Mt.Kanchenjunga or Mt.Sinolchu and relish the magnificent brilliance of the Himalayas. Last but not the least is ‘Cycling’ that is considered as one of the enthralling adventure sport in Sikkim. One can hire cycles to discover the snowy mountains, countryside, and beautiful landscaping. There are many slopes of mountains that are simply superb. One can also discover the panoramic view of the splendid Himalayan en route to Kaluk Richenpong and Soreng. The view of lush green forest, hilly areas, temples and other popular spots through cycling give one of the everlasting experiences that can be cherished for ages. So, visit this small hill state and dare to these challenging activities as Sikkim has always offered innumerable Adventure Sporting opportunities to its visitors. Whether it’s about sightseeing, famous spots or adventure sports; the city is a complete package of fun and enjoyment. Youngsters of today’s generation always look for some adventure and Sikkim has everything to make their trip unforgettable. Engrafted like a jewel in the snowy mountains, the state is always considered as one of the perfect destination for travelers in pursuit of adventure, equanimity and captivation. It’s a wonderland of adventure that offers various adventurous sports with great thrill and excitement. Besides, the place is also famous for its festivals, vibrant culture, beautiful monasteries and many more. All these truly traced the state where earth and heaven meet together.